The winner of Umbra Spring 2009’s first photo contest is Sarah Davis from the University of Colorado-Boulder. This month’s contest was an extremely tough decision! 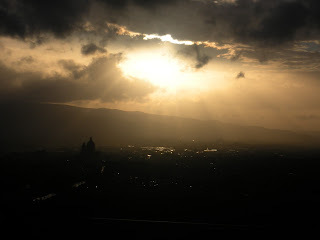 Sarah’s photo is of Assisi taken from below the Basilica di San Francesco. Sarah will enjoy a free meal from Quattro Passi Pizzeria.